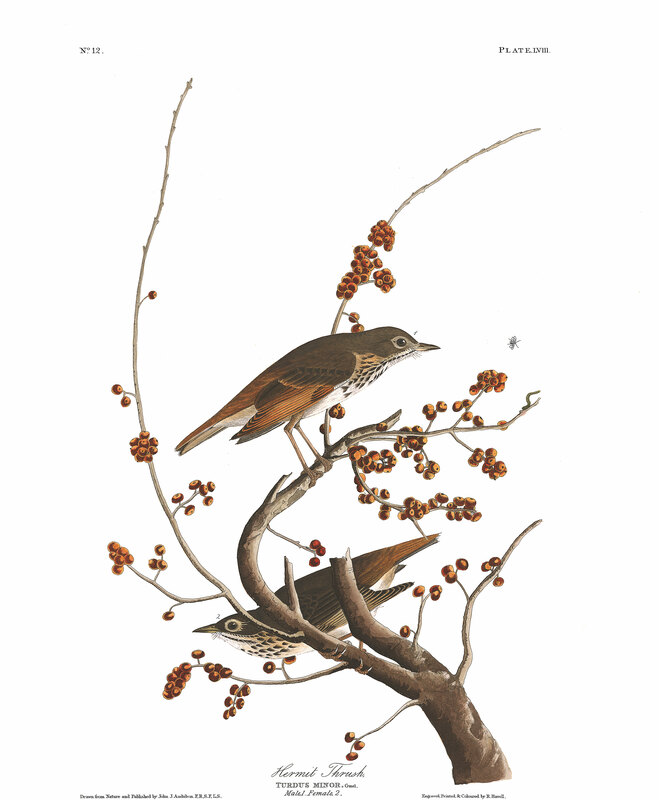 The branches so thickly covered with dull red berries, and upon which two Hermit Thrushes are seen, belong to a shrub which grows in the swampy recesses preferred by these birds. Its leaves fall off at an early period, and are of an ovato-lanceolate form, thin consistence, and deep green colour, their under surface light grey. The common name of it is Robin Wood. It seldom grows taller than from seven to eight feet, and all the branches, in a favourable season, are thickly covered with the berries, on which many birds, besides the Turdus migratorius, from which it seems to have derived its common name, are seen to feed.